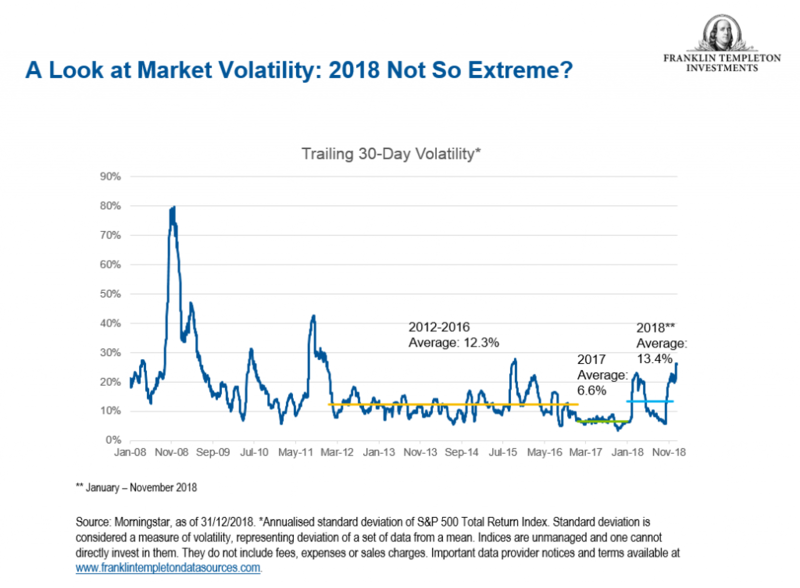 Additionally, the increased influence of computerised trading and quant models that trade based on data patterns versus company fundamentals likely created especially exaggerated market moves at the end of 2018, which made December an extreme outlier compared to “normal” volatility. Overall, we see room for continued earnings growth and potentially more favourable equity returns, albeit arguably not until several months into the year when the sentiment focuses away from the political turmoil and gives more credence to sustainable fundamentals. All investments involve risk, including possible loss of principal. The value of investments can go down as well as up, and investors may not get back the full amount invested. Stock prices fluctuate, sometimes rapidly and dramatically, due to factors affecting individual companies, particular industries or sectors, or general market conditions.